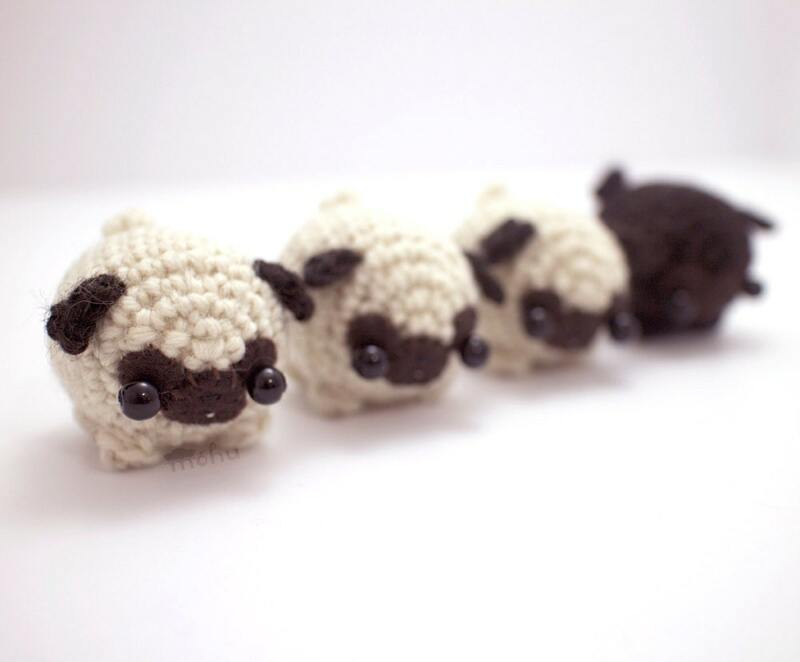 Crochet your own cute pug with this amigurumi pattern. 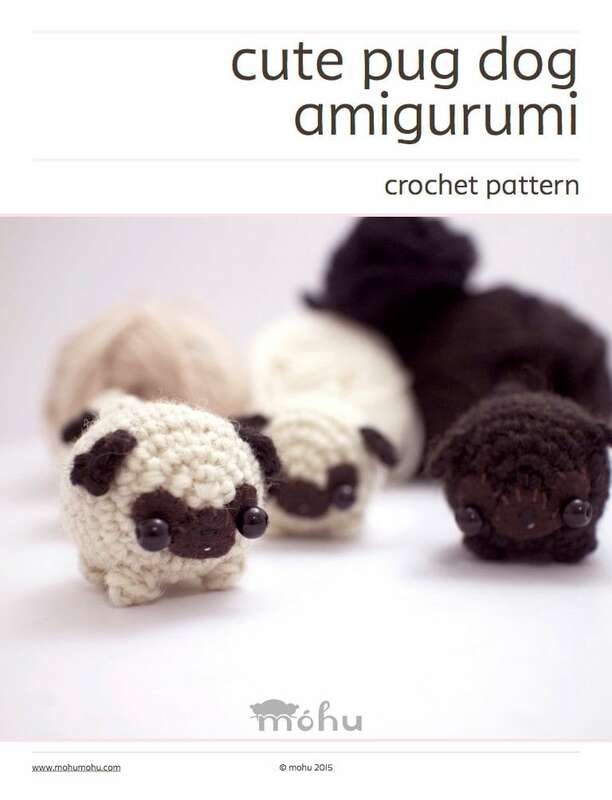 The pdf file includes a written crochet pattern (US crochet terms), detailed assembly instructions, and a printable template for your pug's felt face. 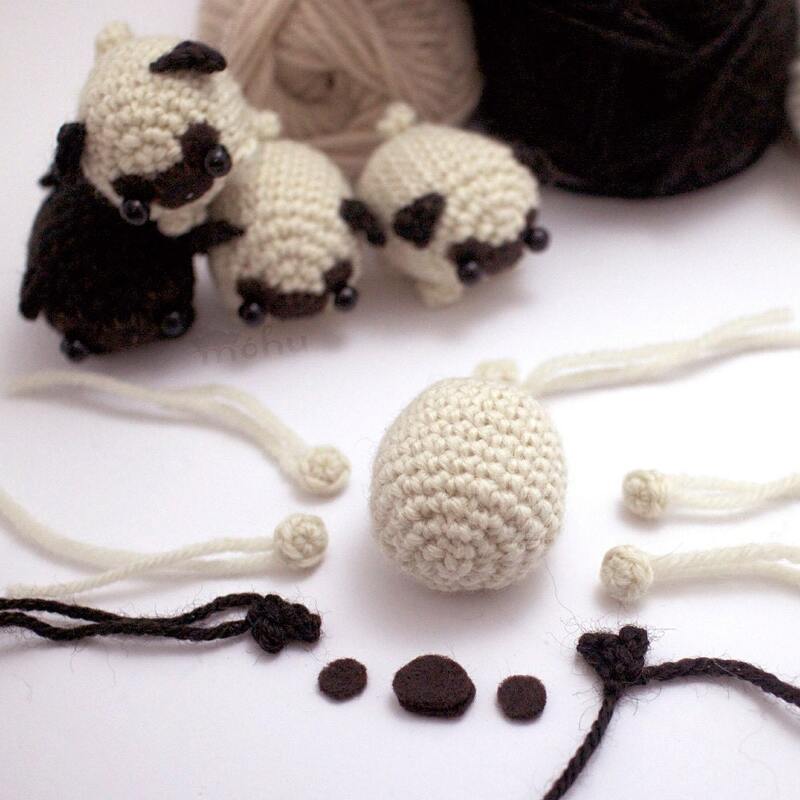 You will require basic knowledge of crochet stitches and working in the round. These techniques are taught in the beginner's crochet guide, included in your purchase. 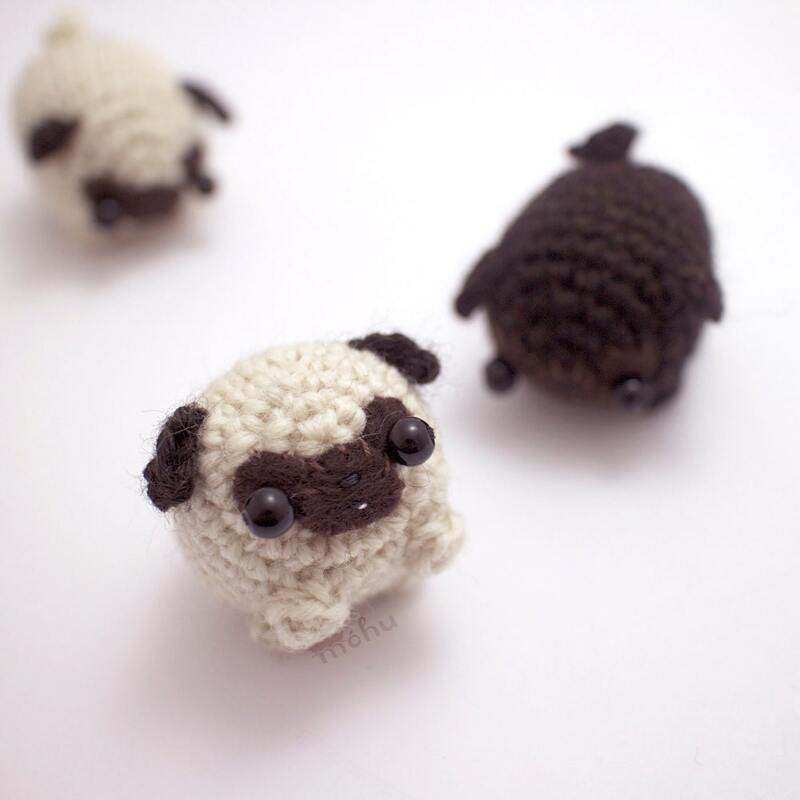 Using medium weight (worsted weight) yarn and a 3.5 mm (E) crochet hook, your amigurumi pug should be about 4 cm / 1.6" wide. The felt template is made to fit this size, but you can resize it if necessary. 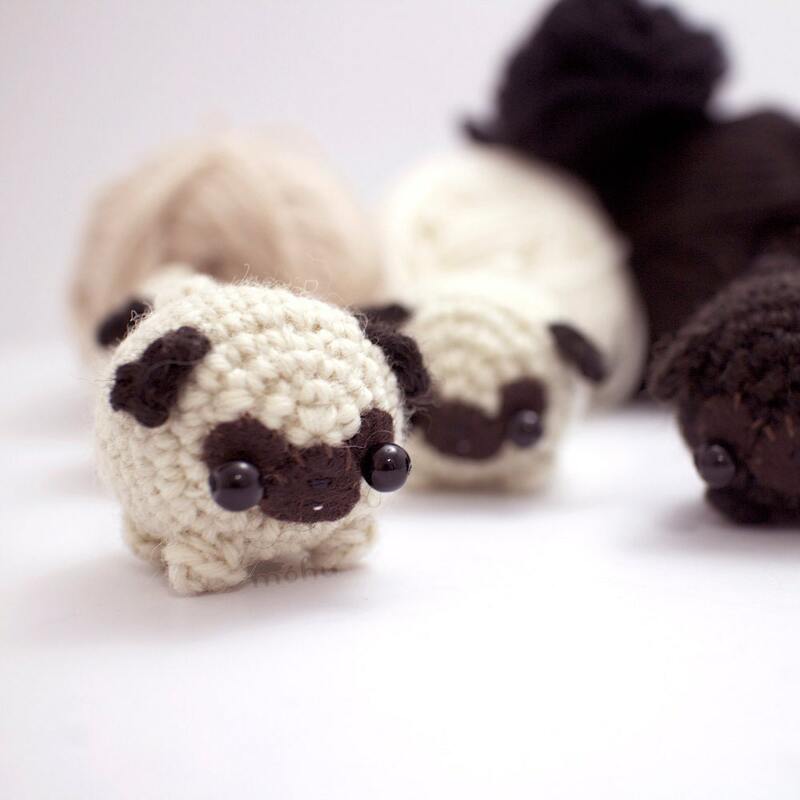 You'll need small amounts of worsted weight yarn in fawn colour and black. You also need some toy stuffing, 6 mm black beads for eyes, dark brown felt for the face, and sewing thread in dark brown, black, and pink for a tiny tongue. Adorable pattern! My son loved the little pug this made! It is pretty easy to follow. Super easy and fun pattern!